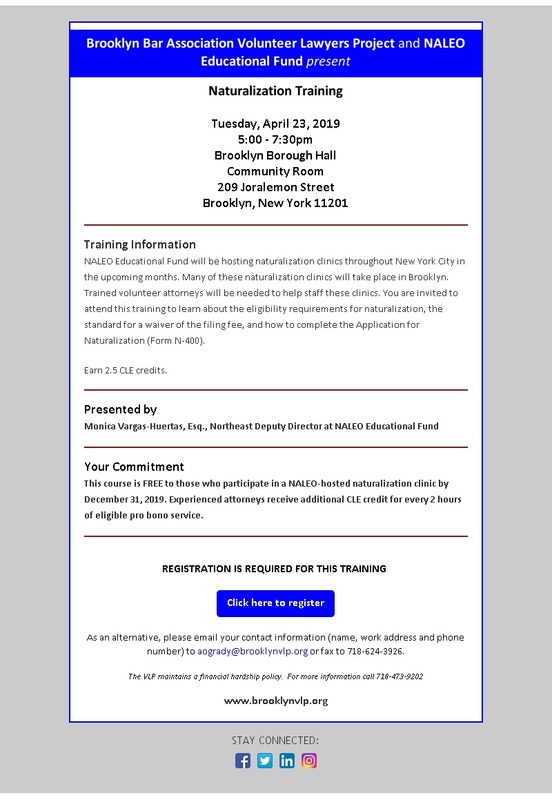 This program, intended for homeowner advocates only, is an introductory training regarding the Home Affordable Modification Program and foreclosure settlement conference advocacy. 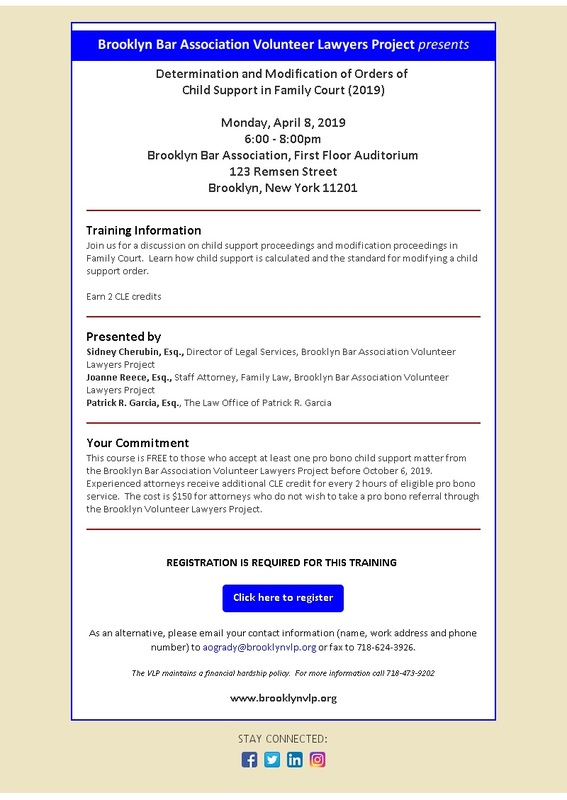 This training will provide an overview of the HAMP program and settlement conference process and basic advocacy tools to successfully resolve foreclosure cases on behalf of homeowners. The program will also include training on the new settlement conference law and rules, revised HAMP guidelines, and Q&A. This course is intended solely for homeowner advocates who plan to volunteer through the VLP Foreclosure Intervention Project. There is no charge for the training. 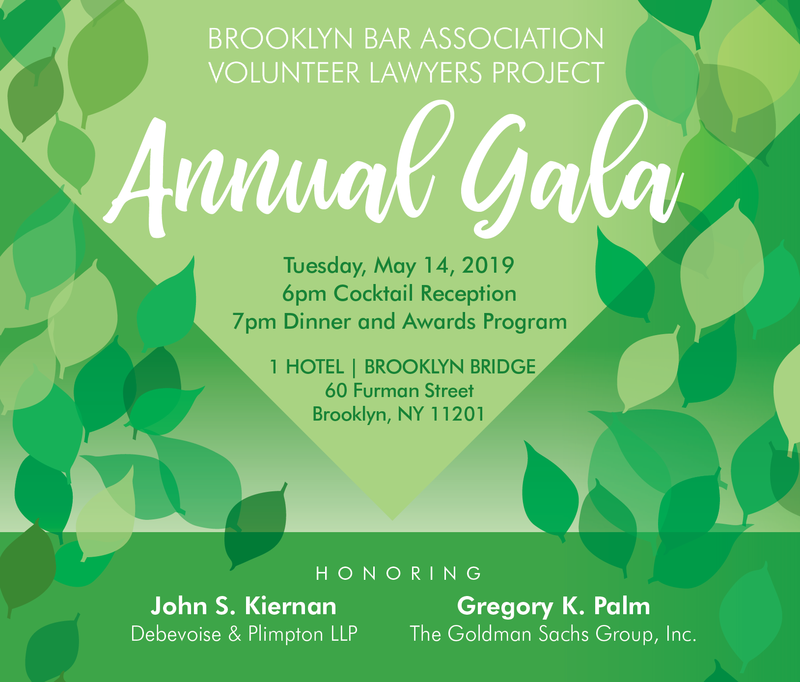 Participants agree to accept at least one pro bono referral for a Foreclosure or other matter from the VLP before June 14, 2011. Experienced attorneys receive additional MCLE credit for every 6 hours of eligible pro bono service. their service (newly admitted attorneys may use pro bono service credits on a carryover basis). Recent New York State legislation regarding foreclosures; recent decisions of interest; answering to the foreclosure complaint; and ethical representation of homeowners in foreclosure. This course is intended solely for homeowner advocates who plan to volunteer through the VLP Foreclosure Intervention Project. There is no charge for the training. Participants are required to take a volunteer assignment in the Settlement Conference Part in Kings County before May 10, 2011. Experienced attorneys receive additional MCLE credit for every 6 hours of eligible pro bono service.